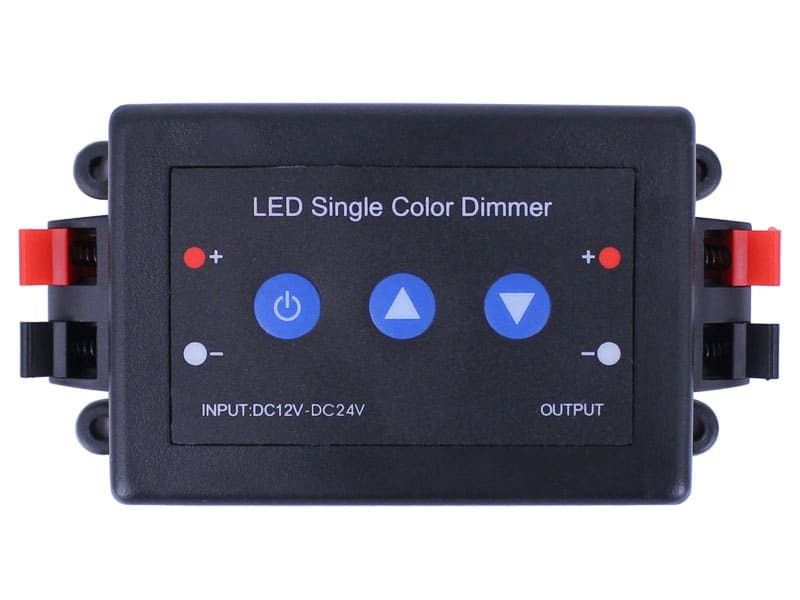 Want to control and dim your LED lighting at home without lots of tedious wiring work? 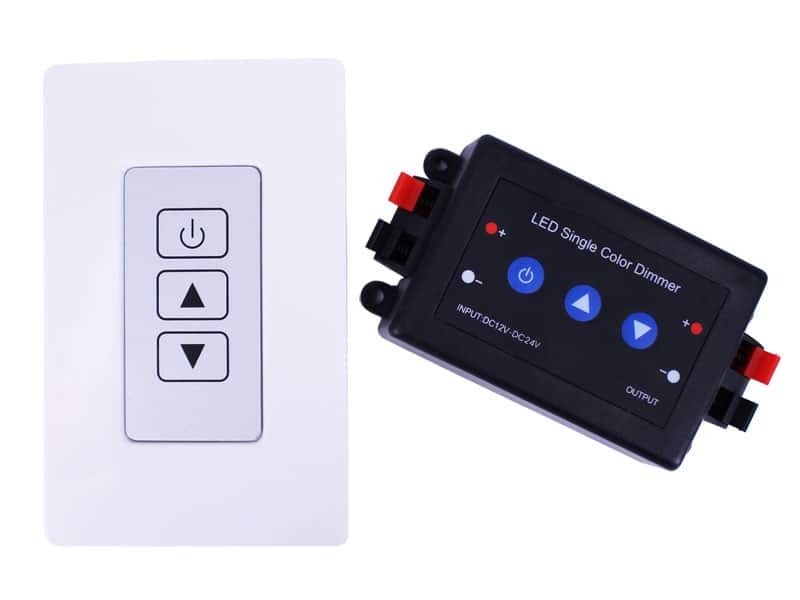 Our NEW Wall Mount LED Remote Dimmer Switch is what you are looking for! 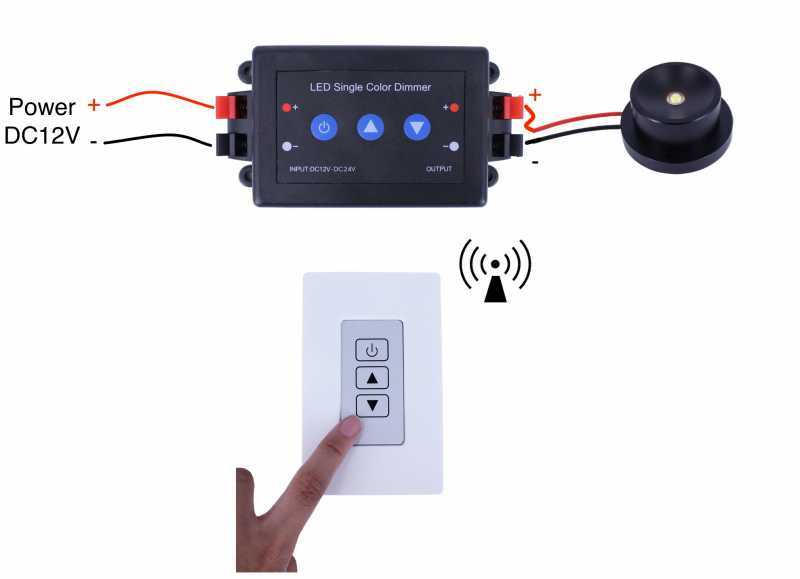 Radio Frequency (RF) technology: lets you control your 12V LED lights wirelessly, and easily adjust the brightness to suit your mood. 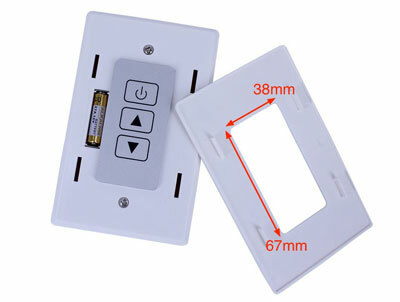 Installation couldn't be easier. Just connect your LED lights and a 12V (to 24V max) DC power to the RF dimmer and install the wall-mounted switch controller (battery of the controller is already provided). 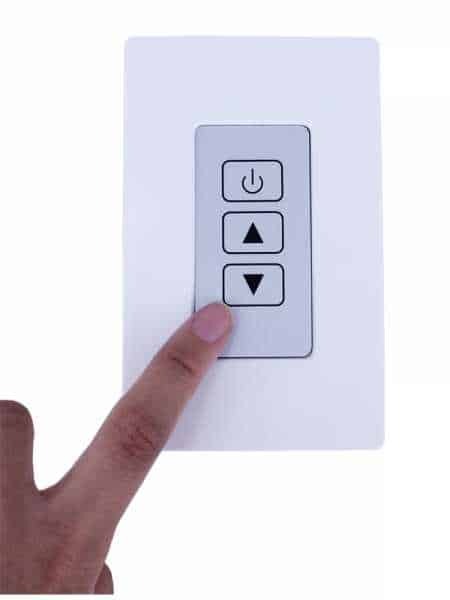 You can then switch on/off, and dim your lights right away! Except, it will not wall install according to local building codes. 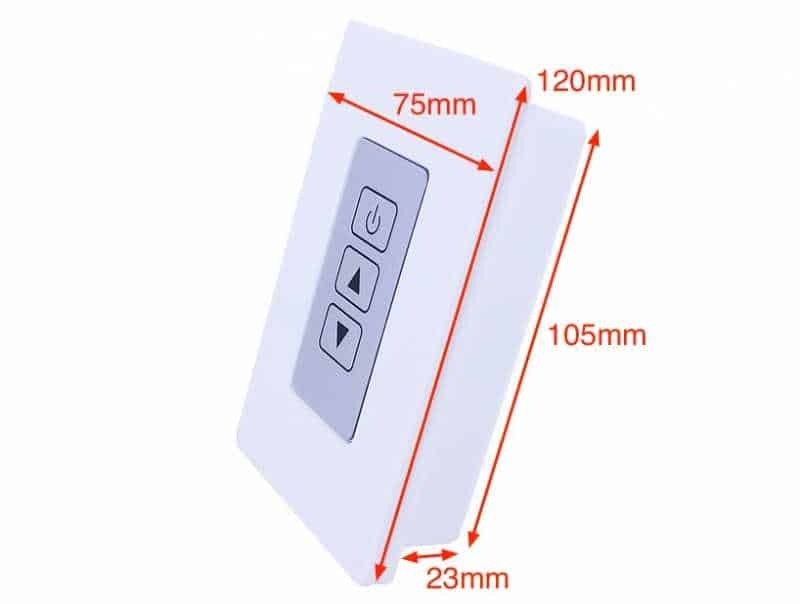 My RV had bathroom light and fan switches mounted at ceiling level and out of reach for my grandchildren. 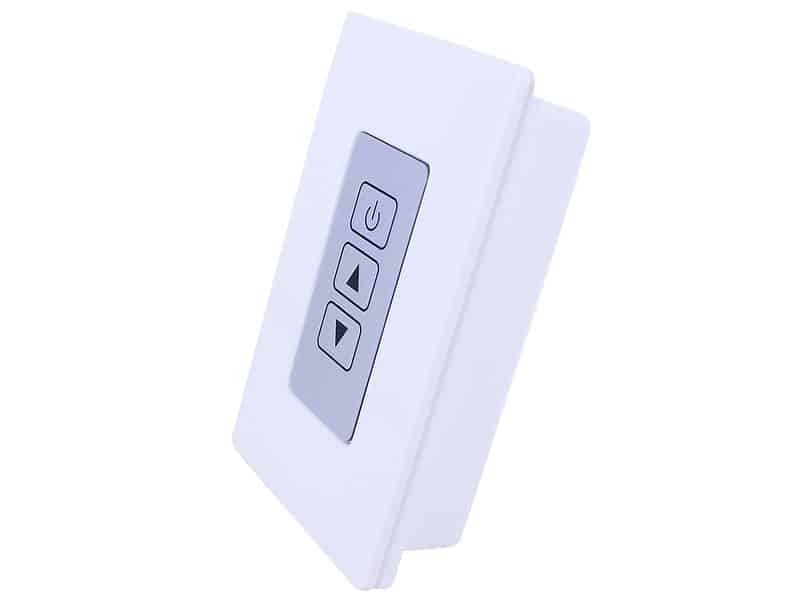 I mounted two of these switches on the wall and put the receivers in the ceiling near the light and fan. 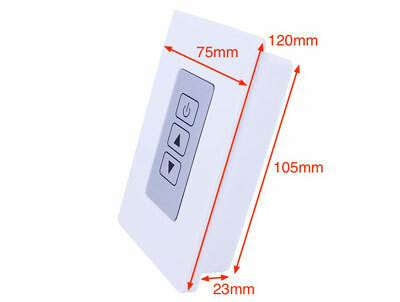 The installation was amazingly fast and easy and added a dimming/fan speed capability that I didn't have previously. The product works great, looks beautiful, is inexpensive and I couldn't be happier with it. 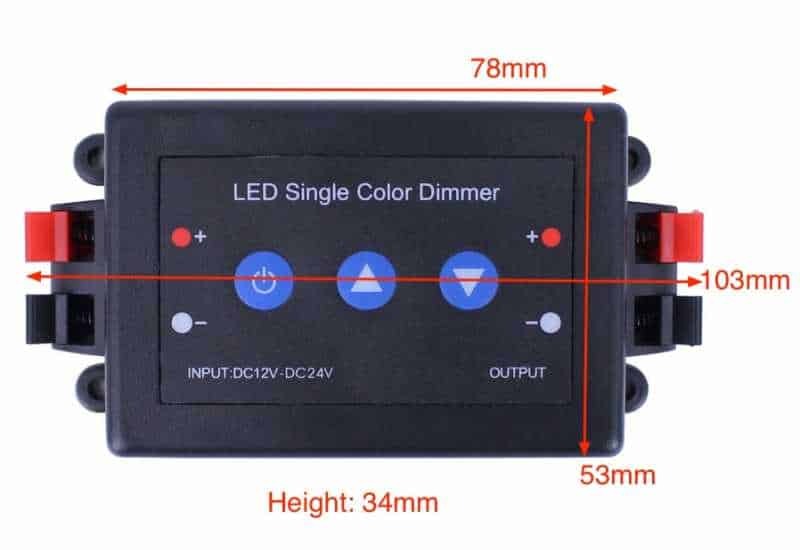 As long as your device runs on 12 - 24 VDC and doesn't draw more than 8 amps this is an excellent solution.